This is a fantastic opportunity for an experienced and agile Digital Media Coordinator to join our Toronto Marketing team! The ideal candidate comes with 3-5 years of digital media coordination experience, has strong coordination and data analysis skills, is extremely detail oriented and is passionate about all things digital media! 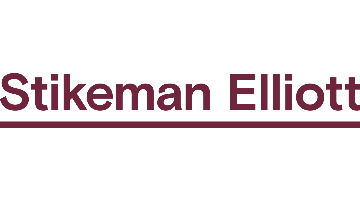 Stikeman Elliott has been voted as one of the Best Employers in Canada for the past ten years running and is located in the heart of the financial district, just steps from the subway and Go stations. If you are a Digital Media and Marketing professional who thrives in a fast-paced and results-driven environment, we want to hear from you! The Digital Media Coordinator is a key player on the Marketing team, helping develop and execute on the firms’ digital media initiatives. Passionate about the latest and greatest in social media, web, SEO and marketing, you’ll use your skills to engage audiences and help elevate our digital presence. Stikeman Elliott is committed to accommodating people with disabilities as part of our hiring process. If you have special requirements, please advise Human Resources during the recruitment process. We thank all applicants however, only applicants selected for an interview will be contacted.